NASA EDGE Wins at Daytona! 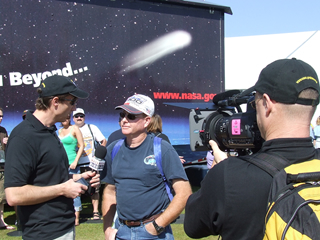 Ok, NASA EDGE didn’t win the Daytona, but we did win tons of fans with the inspirational presence of Astronaut Mike Good at the Daytona 500 yesterday. While it is very cool to compare the technolgy of NASA and NASCAR, it is also awesome to see how fans respond to meeting a NASA Astronaut. Everybody from Navy Seals to fans interested in string theory seemed to gravitate to the cool cat in the blue suit. 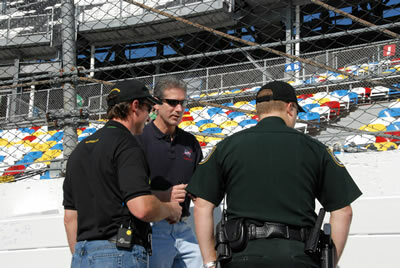 Mike even spent some time talking tires with folks in the pit. Of course, he also spent a good bit of time signing autographs and answering questions from lots of curious fans. I absolutely have to get a blue suit for the medianaut/co-host of NASA EDGE. Here are the NASA EDGE historical documents. 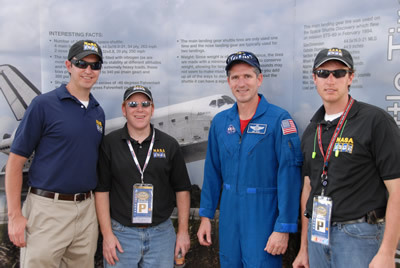 All in all I think that NASA EDGE and the Astronauts for STS-125 make a pretty good team. Hopefully, we will see more of them before and after their scheduled launch later this summer. 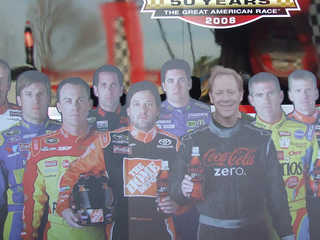 Author nasaedgePosted on February 18, 2008 March 19, 2013 Tags General7 Comments on NASA EDGE Wins at Daytona! We just arrived in Daytona long enough to stop by the NASA exhibit for the combined anniversaries for NASA and the Daytona 500. It should be a very exciting weekend. 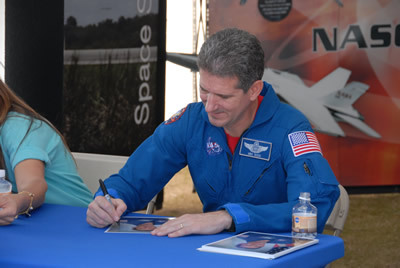 Tomorrow we are planning to talk to people in and around Daytona about NASA, and Sunday we are going to meet Astronaut Michael Good. 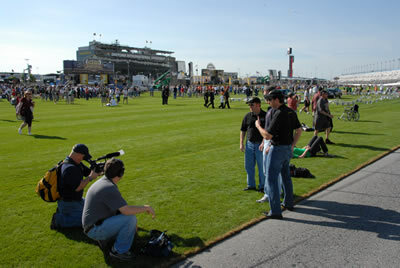 Hopefully I can get a quick interview about becoming the first medianaut between his busy Q & A schedule. Important Note: Unfortunately due to internal regulations we can’t accept posts that include a link to another website. We apologize for the note but even NASA EDGE must follow the rules. 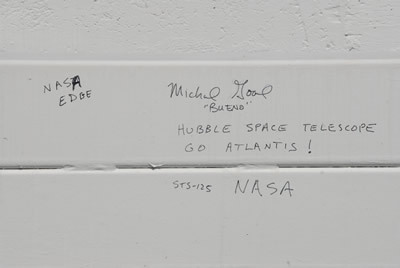 Let me start by saying congratulations to the Atlantis Crew of STS-122 for a successful launch. The NASA EDGE Team watched it on NASA TV through the NASA Portal. We never get tired of watching shuttle launches, even though Blair misses the shuttle dogs from the STS-118 launch. He still claims they are fat free but that’s debatable. I wonder if he ever passed his physical the week we returned from Kennedy. NASA EDGE Show 10 (or vodcast 10) is now ready for download. On this episode we highlight the lunar architecture and the D-RATS crew. I believe our Subject Matter Experts (SMEs – NASA jargon), Geoff Yoder and Pat Troutman, did a great job giving an overview of the architecture. 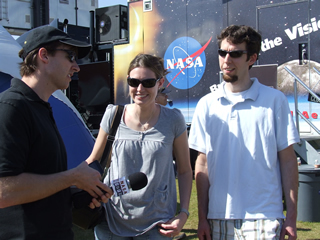 I am still a little ticked off that Pat joked my NASA EDGE shirt live on camera. I just wished I could of thought of a good come back line within the 5 second limit. Oh well. We had a lot of fun talking to the guys and they are welcomed back anytime. I think Frank Delgado was a little surprised when Franklin and Blair first asked him about the buyer incentive package for the SCOUT Rover. I think the rover actually gets better gas mileage than Blair’s old 84 Corolla. I can’t believe he actually drives that pink car to work everyday. Maybe that’s why it’s hard for him to achieve insider status. Anyway, we all had a great time hanging out with Frank, Joe Kosmo, Barbara Romig and the rest of the D-RATS. 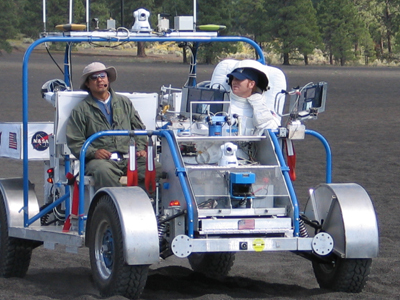 They are paving the way for lunar exploration down the road. 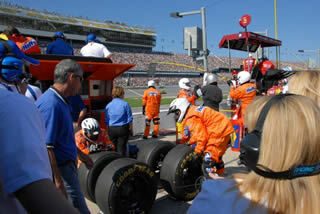 Hopefully we’ll be invited back later this year and get a chance to change the Rover tire just like we did down in Daytona. Should be fun. Important Note: Unfortunately due to Government regulations we can’t accept posts that include a link to another website. We apologize for the note but even NASA EDGE must follow the rules.